In an effort to give our both our SEO (search engine optimization) & SEM (search engine marketing) clients a sample process on how to perform keyword research, it’s not a complete “to-do” but it’s intended to show that there’s a little rhyme & reason to what they’re signing off on. Adwords was too expensive, paying for every single click. Most of the people who clicked on our ads never picked up the phone or filled out the contact form. SEO takes way too long. These SEO agencies expect us to sign 6 month contracts with no guarantees. Then came the issue with the reporting, the monitoring & the management of all this stuff. But there was a common theme that started to emerge & that there was, at some point, a hiccup in communication that took the client out of the loop so they lost track of what was being done. So we figured, what better way to give them peace of mind than to give them something they could follow along with & try for themselves. Whether they actually put it into play, well, at least they had some information to mull over. Review seed keyword list (should have been provided during pre-PPC consult/questionnaire as “keywords you would like to target”). Usually like to create a workbook in either excel or Google sheets to keep a running record of the process. So the first tab would be the “seed keywords” & each step or new area of research would be dropped into a new tab. 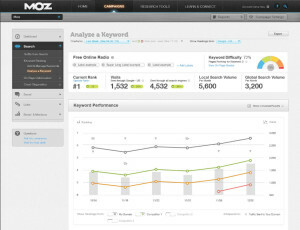 The keyword tool will spit out combinations of potential keywords, volume, competition & top of 1st page bid estimates. Does the keyword describe the client’s process, service, business or product. Is there enough search volume that the client might lose budget on wasted clicks for PPC campaigns? Are they still relevant? Potential for a secondary list or better served as a negative keyword? Review the keywords that remain in the list, start grouping related terms together to create keyword themes. This should also kick out some recommendations that relate to potential categorization for campaigns & ad groups. Once this list is reduced down, there should be a rough framework for campaigns, ad groups & keyword groups for your PPC campaigns. Those potential keyword silos & themes could be used to sprinkle throughout your content or be used as the basis for reworking what you’ve already written. Adjusting ad schedule – Most business are only open for a set number of hours & therefore only have staff to answer the phones during those operating hours. Questions about what our process can do for your business? Looking for an agency partner to handle your digital marketing, SEO or SEM? Or maybe you found a couple boxes of old comics in the attic that you don’t know what to do with? Hop on over to the contact page & let us know how we can help!